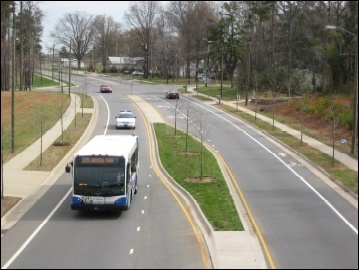 (April 1, 2017) Staff with the Charlotte city Engineering and Planning Departments presented information on the Ayrsley Town Boulevard and South Tryon Street Traffic Calming Project at a drop-in meeting on March 31. This project is part of Charlotte's Comprehensive Neighborhood Improvement Program (CNIP) for the Whitehall/Ayrsley area. The project length is 3.0 miles. The limits are South Tryon Street and Kings Parade Boulevard, including improvements to both intersections. The budget is $1.5 million. Construction should start in early 2018 and take about four months. The project should be completed in summer 2018. The project is being funded by 2016 Neighborhood Improvement Bonds. Adding a new crosswalk on the south side of the South Tryon Street intersection, including a pedestrian refuge, walk signals, and pavement resurfacing. Moving the crosswalk across Ayrsley Town Boulevard to make the crossing shorter and to add a pedestrian refuge. Clearly marking no-parking zones and marking five parallel parking spaces in the section of Ayrsley Town Boulevard before the first driveway. Reducing the section of Ayrsley Town Boulevard between the first driveway and the Cinema/Parking Deck driveway to two lanes of traffic. Adding sidewalks to the south side of Ayrsley Town Boulevard between the first driveway and the Cinema/Parking Deck driveway. 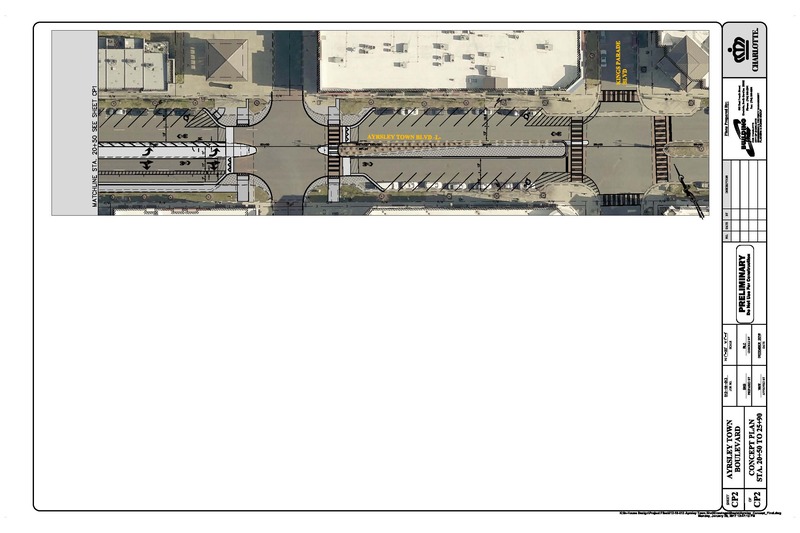 This section will have parallel parking rather than reverse-angle parking. Adding four raised (traffic hump) crosswalks along Ayrsley Town Boulevard. Adding a left turn lane from eastbound Ayrsley Town Boulevard towards the Cinema driveway. Adding a four-way stop and four crosswalks at the intersection of Ayrsley Town Boulevard and Kings Parade Boulevard. Removing the left turn lane and reducing the length of the traffic island on eastbound Ayrsley Town Boulevard at Kings Parade Boulevard to allow easier U-Turns. 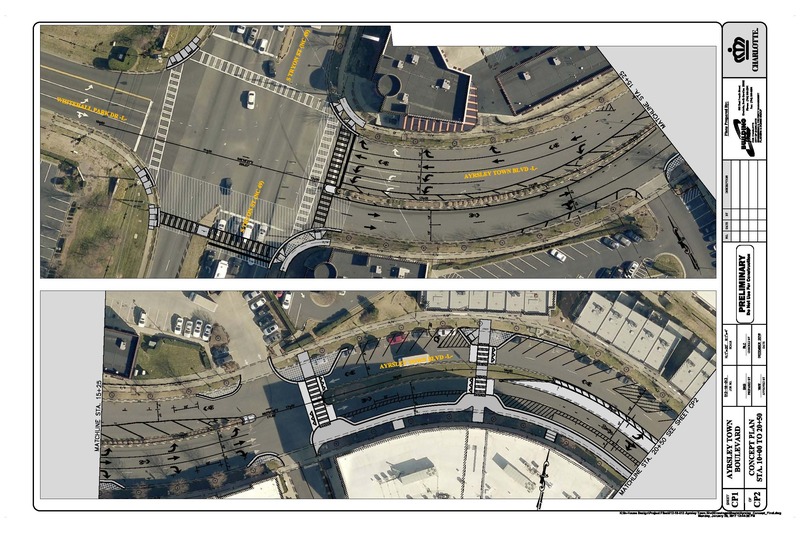 Direct questions about the Ayrsley Town Boulevard traffic calming project to Brandon Brezeale, Project Engineer, at 704-336-4835 or brandon.brazeale@charlottenc.gov. Charlotte on Commonwealth Avenue and will now be coming to Ayrsley Town Boulevard. 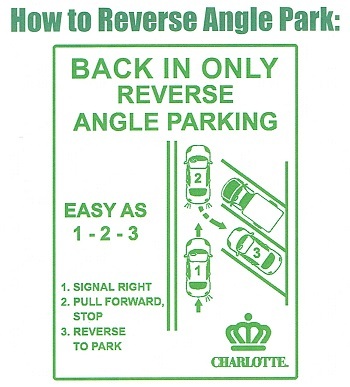 Reverse angle parking is easy as 1-2-3! 1. SIGNAL right to park. 2. Pull forward and STOP. 3. REVERSE and back-in to the space. • When leaving a parking space, drivers are facing forward allowing a better view of traffic and cyclists. • Drivers do not have to back-in to traffic blindly when leaving. This makes departures safer, quicker and easier. • When vehicle doors are open, they block pedestrian access to the travel lane and guide them back to the sidewalk. • The vehicle's trunk is accessed from the sidewalk, making it safer and more convenient to load/unload items. • Accessible parking spaces are provided with direct access to the sidewalk. • Wheel chair users can load/unload from the vehicle's side or rear, away from the traffic lane. speeds and enhancing driver alertness. This project is part of Charlotte's Comprehensive Neighborhood Improvement Program (CNIP) for the Whitehall/Ayrsley area. To view a more detailed map showing the CNIP projects, click HERE or on the map. 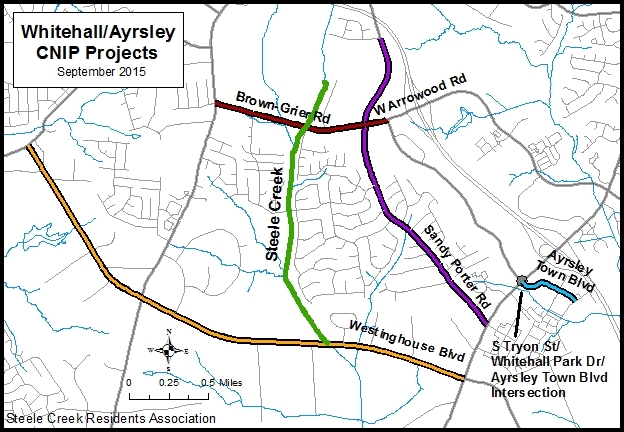 Upgrade Sandy Porter Road from South Tryon Street to Williams Glenn Road and Brown Grier Road from Steele Creek Road to Whitehall Park Drive with planted medians, intermittent left turn lanes, curbs and gutters, bike lanes, planting strips, and sidewalks on both sides of the road. See Community Input Requested for CNIP Road Projects. 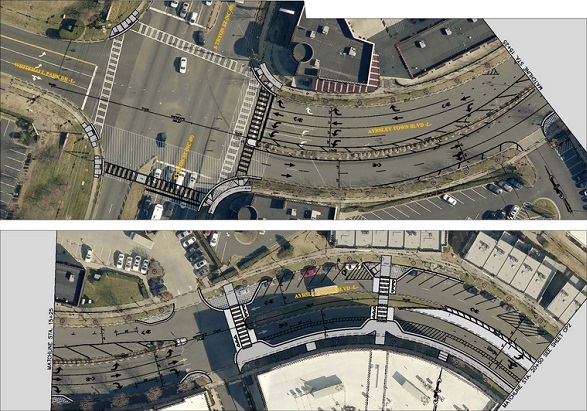 Construct either sidewalks (6 feet) or multi-use paths (10 feet) along one side of Westinghouse Boulevard from South Tryon Street to Shopton Road West. Planning for this project is in progress. Construct a multi-use path along Steele Creek from Westinghouse Boulevard to Steele Creek Neighborhood Park or Olympic High School. City staff are working with Mecklenburg County Park and Recreation Department to plan this greenway.